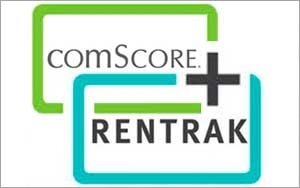 Making a major move for new digital and traditional media measurement services -- as well as amping up competition with Nielsen -- comScore is buying Rentrak. The deal is valued by some at about $732 million, based on today's closing stock market share price. Rentrak -- which focuses mostly traditional media measurement, including TV and film -- and comScore, with its business deep in the digital media space, say the merger will help the combined company focus on immediate pressing industry goals such as coming up with new standards for the next generation of cross-platform measurement. Rentrak, which monitors set-top-box data to determine how consumers watch television, becomes a subsidiary of comScore, which measures consumer Web activity. The move challenges Nielsen in tracking how people consume media. The merger will offer what comScore CEO Serge Matta calls "the cross-platform measurement systems of the future." Agencies will have access to the cross-platform metrics needed to plan and execute campaigns. "This merger also recognizes the critical importance of combining digital and TV assets for next generation media measurement, which requires a higher degree of precision at both a national and local market level," Matta says in a statement. Shareholders of comScore will own approximately 66.5% of the combined company, while Rentrak shareholders would own about 33.5%, under terms of the deal. Each share of Rentrak will be converted into the right to receive 1.15 shares of comScore. Serge Matta, chief executive officer of comScore, will lead the combined company. Bill Livek, Rentrak’s vice chairman and chief executive, will serve as the new company’s executive vice chairman and president. After-market trading had comScore’s stock up 7% to $44.50 and Rentrak gaining 13% to $48.99. In positioning the company's independence for media buyers and sellers, Matta said in an investor call that the WPP Group -- a major global advertising/media company, which has investments in both companies -- will not have a seat on the combined company's board. WPP Group will have a 16% stake in the combined company, with an option to grow it to 19.9%. In February of this year, WPP paid $300 million for a roughly 15% to 20% stake in comScore. In October 2014, WPP bought a 16.7% stake in Rentrak for $56 million in cash. 9 comments about "comScore, Rentrak To Merge, Take On Nielsen". Ed Papazian from Media Dynamics Inc, September 30, 2015 at 9:03 a.m. This should be really interesting. If they can find a way to derive or obtain viewer data for the TV component---Rentrak---- some real competition will finally come into play regarding cross platform audience estimates and Nielsen will be forced to up its game. That way it becomes a win win situation for the media business in general. Good luck, guys. Jim Meskauskas from Media Darwin, Inc., September 30, 2015 at 9:52 a.m. This is a real step towards achieving "universal view" of the media consumer. Very interested to see how this works! Brent Lightfoot from iHeartMedia, September 30, 2015 at 10:31 a.m.
Ed Papazian from Media Dynamics Inc, September 30, 2015 at 10:56 a.m.
Brent, I know about the PPMs but I have some concerns about this methodology and whether it measures viewing the same way that the peoplemeter does. This is because the PPM is a "passive" system whereby the panel member does not make any claim about whether or not he/she is viewing. I have seen old Arbitron test data in Philadelphia, which indicated huge increases over the local Nielsen findings for TV "viewing" as reported by the PPMs that I could not explain as due to out-of-home being included in the PPM projections. I have a suspicion that the PPMs may heavily overstate in-home viewing and this could have a bearing on viewer-per-home ratios by demo---probably favoring the younger end of the scale to a far greater extent than is warranted. Certain channels---especially on cable--may also be favored for the same reason. My point is that the new entitity will have to do some serious validation work if it intends to compete with Nielsen and uses PPM data for the viewer versus set usage distinction. So far, no one has really bothered about this as the PPMs have been used mainly for radio. When and if serious discrepancies between the PPM findings and Nielsen's arise, these will have to be accounted for in some manner---or by adjustment factors----as the time buyers, once they see the differences that I expect may materialize, will demand some form of resolution. Now is the time to prepare to deal with such possibilities, not later. Again, as I said in my first post, I wish the new comScore-Rentrak service the best. Competition is a good thing---even for TV audience measurement. Charlotte Lawyer from Charlotte Lawyer Research, September 30, 2015 at 1:14 p.m.
MRC's involvement will be key to examining validity, reliability, and stability of these estimates. I am sure NAB's COLTAM committee will also get involved. Marilois Snowman from Mediastruction, September 30, 2015 at 1:27 p.m.
One can only hope that the competition equates to better pricing for media shops, and not necessitate a need for both services. That would be true competition. Tony Jarvis from Olympic Media Consultancy, September 30, 2015 at 3:30 p.m. This is clearly a result of some brilliant strategitists; WPP influence; the disgraceful decision by the FTC Commissioners to allow Nielsen to to take-over Arbitron; and the fact that Spot TV measurement in the US has been broken for over 20 years (as agreed by several of my broadcast research peers. The entire industry must welcome this announcement which will significantly increase real competiton in video measurement which the US has needed for many many years. Michael Pursel from Pursel Advertising, September 30, 2015 at 5:32 p.m. Since we signed up for RENTRAK a couple of years ago.. we are very concerned about being charged double, which seems to happen when research companies merge. Talking with RENTRAK today, they assure that it's Biz As Usual. We'll see. I will say, however, that using their info in a local market setting has placed us head and shoulders above other media planners/buyers. We are able to see true trends and shifts NOW while Nielsen delivers us their results three months later. Ed Papazian from Media Dynamics Inc, September 30, 2015 at 6:31 p.m.
Tony, spot TV ratings have, from the beginning, been very poor cousins of whatever the national TV methodology happened to be. I agree that currently, spot is even less well measured than before, relative to national, by Nielsen, however, it may well be that the time is coming when it is not economically feasible for us to have "reliable" national Nielsen-style ratings in every TV market. I think that Rentrak, if it can maintain its large sample bases in smaller and mid-sized markets and still turn a profit, may be the answer---even if the viewing vs. tuning issue isn't fully resolved. Most spot sales are made in syndicated shows, local news and/or network show adjacencies. Their audience compositions are well known and fairly predictable from market to market.It should be possible to factor in known viewer-per-home ratios to augment the tuning findings for these broad program type genres. That said, I'm not exactly a fan of Nielsen's proposed solution, which estimates the VPS factors from data obtained in nearby, larger markets, but retains the relatively tiny sample bases used for so long. What's needed,. first and foremost on the local level is much larger samples---and Rentrak, not Nielsen, provides that.